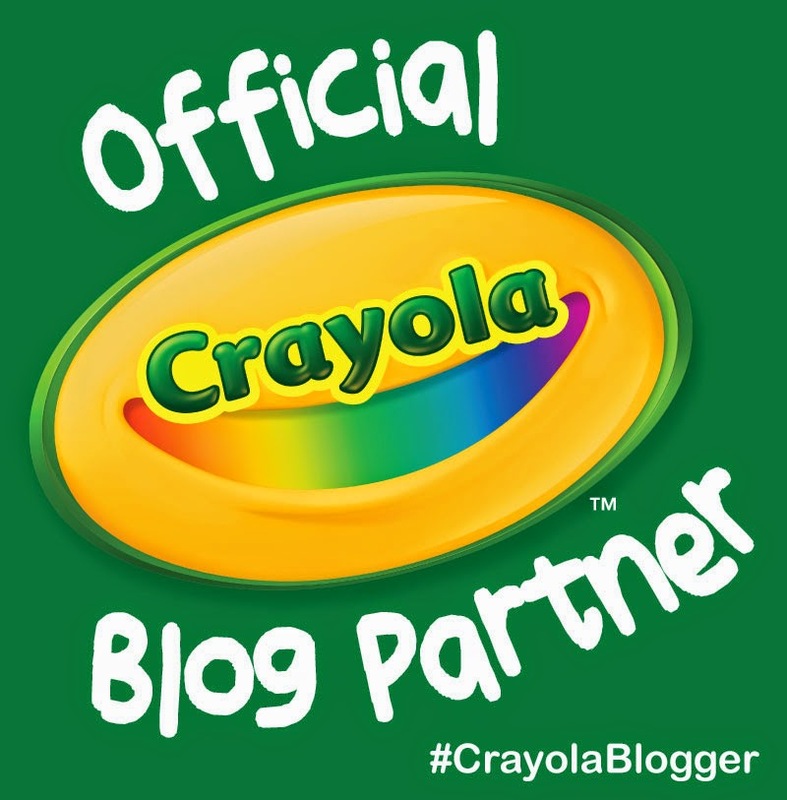 Life Unexpected: Leo's a #CrayolaBlogger! I say Leo but I really mean WE are #CrayolaBloggers and it is a role that we are both very excited about. We love getting the pens, pencils and paints out and we LOVE Crayola, so this new shiny badge of ours is one that we are extremely proud of. 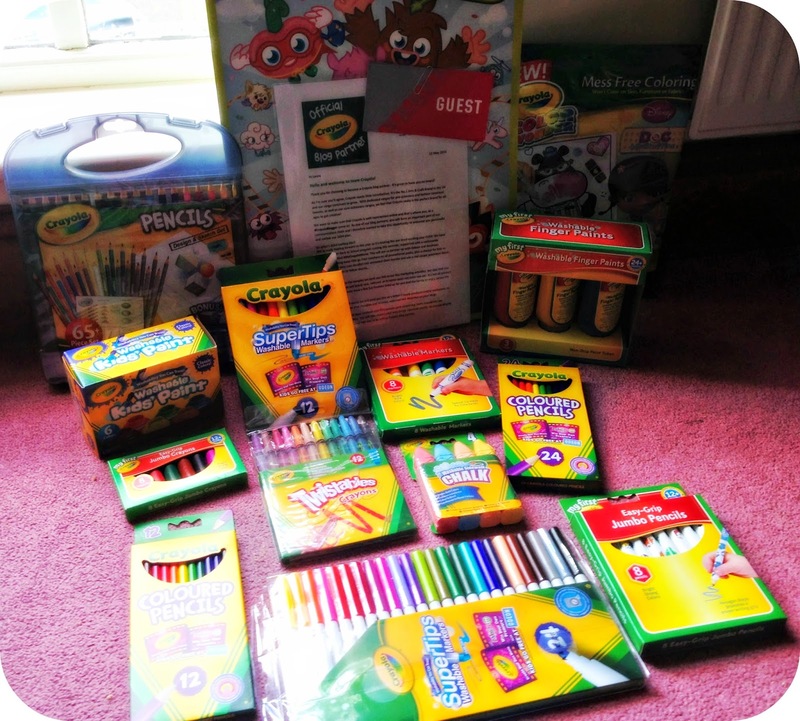 Crayola sent us over a very generous box of goodies to get us started and initiate us into the Crayola Blog Partnership. In fact they spoiled us rotten, opening up that box of goodies felt just like Christmas, and I cannot wait to share our experiences with those products over the coming weeks and months ahead. Crayola is a household name and it is a brand that I have grown up with, the range is extensive and I wouldn't be surprised if I began to introduce you to products that you didn't even know they did! Over the years Crayola has branched out in many directions, and just going through this box full of our Crayola treats has opened my eyes to just how many different lines they now have. Crayola are currently running a brand new competition called #MyCrayolaMovie and it is open to kids right up to the age of 16. They can enter at www.MyCrayolaMovie.com by creating their very own 1 minute movie with Crayola! This movie will bring their doodles to life, as the doodles will be turned into animated movies! The winner will win a Red carpet premier at their local Odeon Cinema! How amazing is that!? So.. You Want To Take Part! Head over and check out the My Crayola Movie film kit for some ideas and top tips – plus a storyboard template to help you plan your movie. Next you’ll need to set up your studio. See below for some help on this. Finally you’re going to need some animation software. Rumor has it that this software is really easy to use, and I think I will be downloading it and having a play! Disclaimer: I am a #CrayolaBlogger and I have been sent Crayola goodies to test, all views and opinions expressed in this post are completely honest and my own.